Information about the risk of this procedure is immediately distributed to all staff who may insert or request the insertion of a suprapubic catheter. A named lead for training is identified and a training plan developed. Local guidelines/policies are reviewed or developed in the light of this report and forthcoming British Association of Urological Surgeons (BAUS) standards. Ultrasound is used wherever possible to visualise the bladder and guide the insertion of the catheter. There should be ultrasound machines available in the relevant areas and staff trained in their use. Local incident data relating to suprapubic catheterisation is reviewed, appropriate action is taken and staff are encouraged to report further incidents and to take part in the BAUS national clinical audit. In three randomised controlled trials encompassing 767 infants with hypoxic-ischaemic encephalopathy, induced moderate hypothermia for 72 hours significantly reduced the combined rate of death and severe disability, with a number needed to treat of nine (95% CI 5 to 25). Hypothermia increased survival with normal neurological function, with a number needed to treat of eight (95% CI 5 to 17), and in survivors reduced the rates of severe disability and cerebral palsy. The studies used different cooling methods and different target temperatures (33-34 deg C vs 34-35 deg C), suggesting the method of cooling itself is not important as long as therapeutic hypothermia is achieved. The direction of the needle was indicated by the line that bisects the claviculosternocleidomastoid angle with elevation 5–15 degrees above the coronal plane. The needle was advanced slowly with a constant negative pressure in the syringe. The vein was usually punctured between the clavicle and the attachment of the anterior scalene muscle to the first rib. The depth of catheter insertion was 14 cm for right side and 18 cm for left side catheterization. 5. Urgent surgery is also needed in some multiply injured patients with open fractures or if the wound is heavily contaminated by marine, agricultural or sewage matter. 12. If definitive skeletal and soft tissue reconstruction is not to be undertaken in a single stage, then vacuum foam dressing or an antibiotic bead pouch is applied until definitive surgery. 13. Definitive skeletal stabilisation and wound cover are achieved within 72hours and should not exceed 7 days. 14. Vacuum foam dressings are not used for definitive wound management in open fractures. Small head movements can cause significant tracheal tube migration in infants unless the tube is adequately secured. 1. Equipment required: Silk suture (cut off needle), ‘Cavilon’, elastoplast cut into 3 strips – 2 trouser shaped, and one with a 4cm hole in middle. 2. Apply Cavilon to face (a barrier film to protect the skin) over the area shown by red blobs in the picture. 3. Tie the suture around the tracheal tube. This marks the tube position at the mouth, and allows the tube to be held in place during fixation and when the tapes are later changed. Pull the two ends taut across both cheeks. 3. While the suture is being pulled taut, place the first ‘trousers’ so that the undivided end is along the cheek (over the tape). The lower ‘leg’ is placed between the lower lip and the chin. 4. The second set of ‘trousers’ is then applied on the other side, once again with the undivided end over the cheek and suture. The upper ‘leg’ goes between the nose and the top lip and the lower leg is wound around the tracheal tube. and applied over the other tapes. If there is an orogastric tube this should also go through the hole. The tube is now secure for transfer. A young patient presents with pulmonary embolism. Should you send blood to the lab for a thrombophilia screen? What if she is pregnant? How about a patient with an upper limb DVT, or a child with a stroke? The document highlights the lack of evidence that the results of thrombophilia screening influence type or duration of management, or predict likelihood of recurrence in unselected patients with symptomatic venous thrombosis. 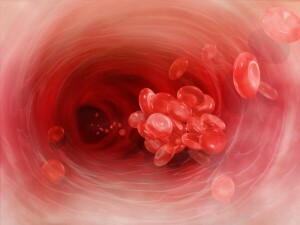 Furthermore, the results of thrombophilia tests are frequently misinterpreted. Many more situations and conditions are covered in the full document.